Yoga teacher trainings can vary wildly in their offerings and content. But at the very base of it all, there are three different classifications available; 200-hour, 300-hour and specialty trainings. 200-hour programs are designed for first time trainees and those seeking to obtain the RYT (Registered Yoga Teacher) status with Yoga Alliance. Although I know many students, myself including, participate in a 200-hour program after they’ve had teaching experience and some type of training. These students were seeking the 200-hour Yoga Alliance status that they may have missed with their other training. These types of trainings are by far the most plentiful out there. I would even go so far as to say that 90% of yoga studios are offering a 200-hour certification at some point. It’s easy to find one of these trainings. The bigger challenge is to do your research so you can find the best one for you. Once called 500-hour trainings, these programs build on the 200 hours a certified teacher has already obtained. By adding another 300 hours of training, teachers can obtain the RYT500 status with Yoga Alliance once complete. 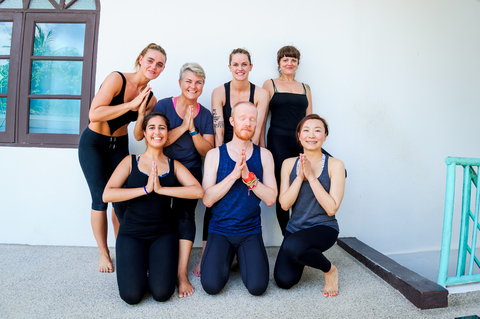 This advanced type of training is often tailored towards the specific yoga school’s style or background, however at the root of it, Yoga Alliance requires all 300 hour trainings to include: teaching methodology, techniques, anatomy, philosophy, ethics and practice. Although growing in number, you may only find a handful of these trainings accessible to you. Often a shorter time commitment than the trainings above, specialty yoga teacher trainings vary in type, content, delivery and just about everything. The majority of these programs are not subject to Yoga Alliance standards, but will generally meet their requirements for CEUs (continuing education units). Some specialty teacher trainings will require some type of prior yoga teacher training to participate, but the majority these are open to anyone interested in participating and learning a new skill. They are a great way for professionals such as teachers or health care professionals to bring yoga to their place of work. Certified yoga teachers can expand their skills and specialize their teaching for special populations which is smart with so many teachers out there now. The options of specialty teacher trainings are endless, but some of the most available topics are: prenatal yoga, yoga for kids, restorative yoga, yin yoga, yoga for trauma, and yoga for other special populations. Read more about Yoga Alliance standards for yoga teacher trainings here. Looking for a yoga teacher training for yourself? We’ve compiled a list of some great options in the three largest areas that My Area Yoga Covers. Click below to view the lists.